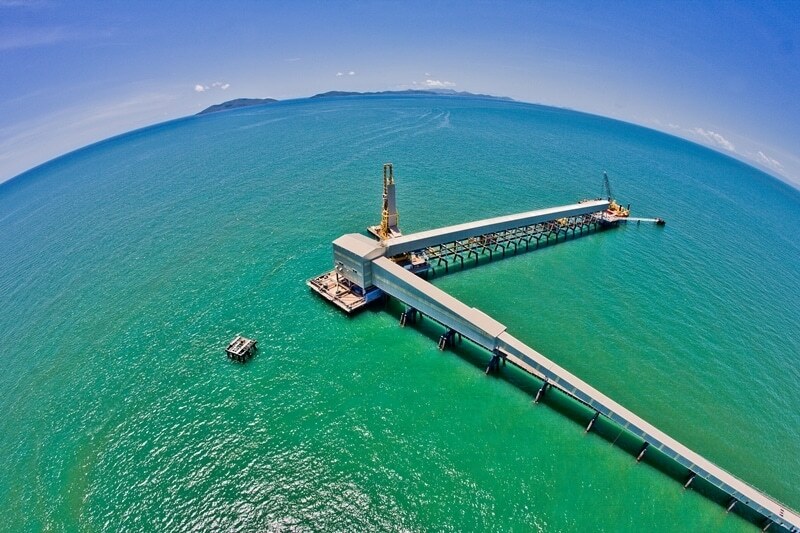 Abergeldie was contracted to a fast track program of repair works to Queensland Sugar Limited’s 5.76 km long jetty and bulk sugar loader at Lucinda, 150 km north of Townsville. The sugar loader was damaged in early 2011 by Cyclone Yasi. Nearly all of the works were carried out at heights, over water, up to 5.76 km out to sea, and sometimes under water, demolishing and repairing unstable, damaged structures, services and equipment. Getting the job done to the high standards demanded and within the time allowed was no small challenge. But for the Abergeldie team, the greater the challenge, the greater the opportunity to excel. Because the damaged jetty and loader structures were unstable, specialised marine access, work platform and lifting equipment were used. The key element was a Sea Lift 4 jack-up barge, with a capacity of up to 250t, supported by four hydraulic “spud” legs. The Sea Lift 4 provided a stable work platform above the high water level. 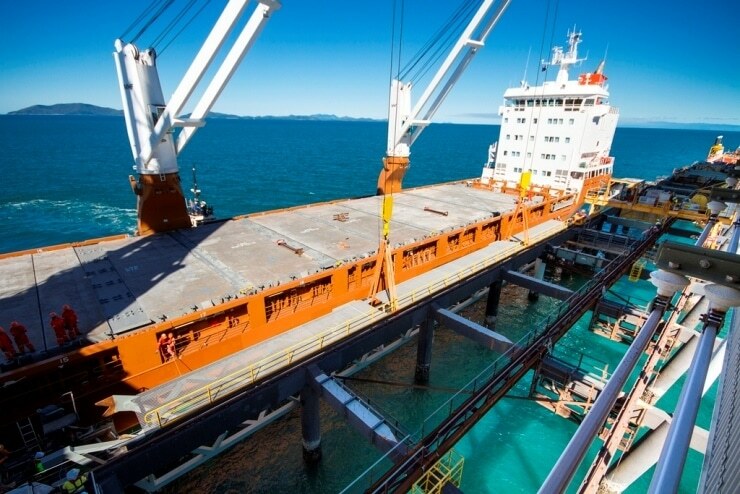 The jack-up barge was delivered to the site by road, in 26 standard semi-trailer loads. 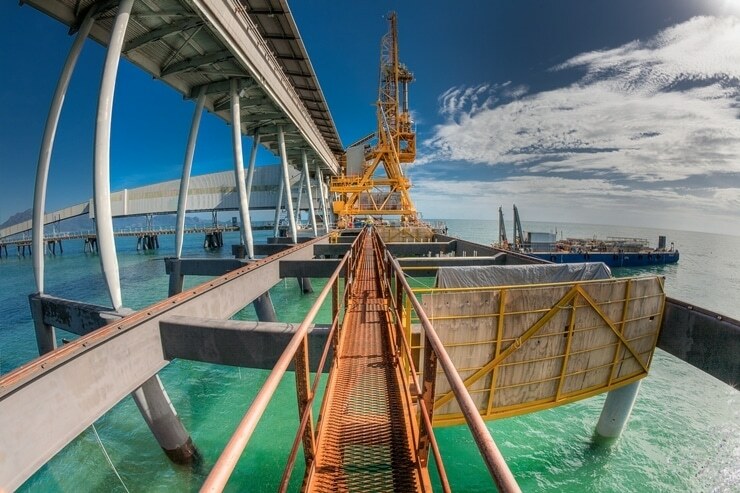 A 150t lattice jib crawler crane worked from the jack-up barge platform. The list of specialised marine equipment also included two shuttle barges and the 1,200 HP “Black Panther” 24 m utility vessel to move them around. The tug, barges and crane enabled a complex array of gantries and access platforms to be erected to enable repairs to the wharf and jetty cladding to proceed. More than 18 months after the cyclone hit, the first ship to use the refurbished terminal was loaded with 27,000 tonnes of sugar on 28 August 2012. 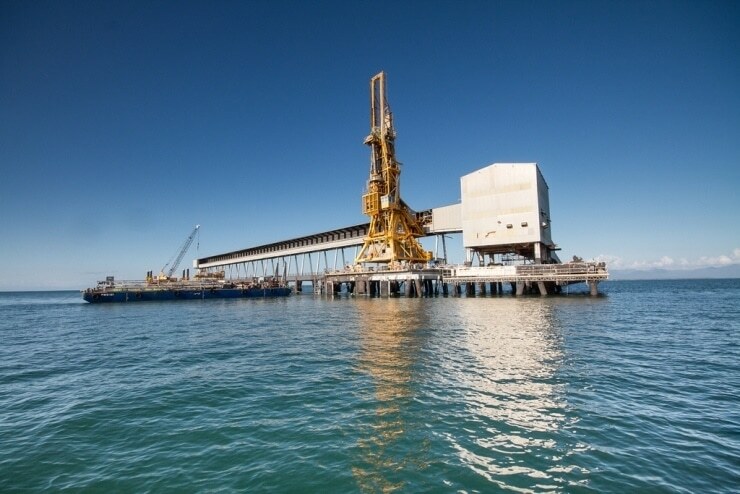 The Lucinda Bulk Sugar Terminal Cyclone Yasi Repair Works project won category 4 (projects $20-75million) in the QLD state CCF Earth Awards in August 2013, it then went on to win at the National Awards in October 2013.